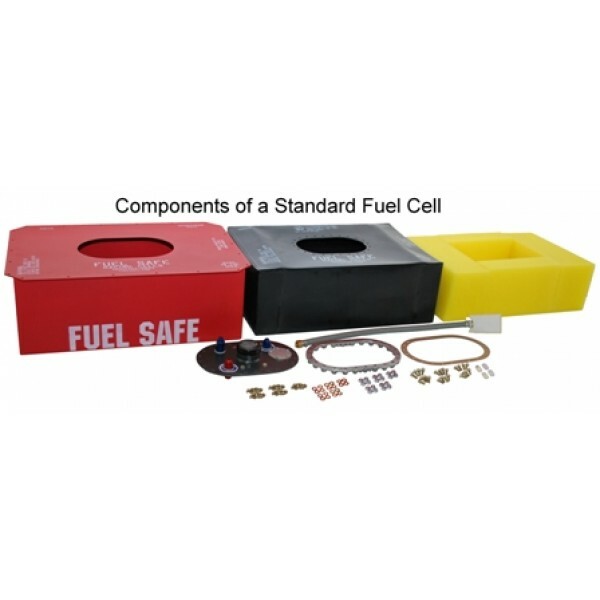 Complete 22 gallon Sportsman Cell, end load steel can w / quick fill (ML6x10B & FV245A) plate, bladder, safety foam baffling, and fuel pick up assembly. 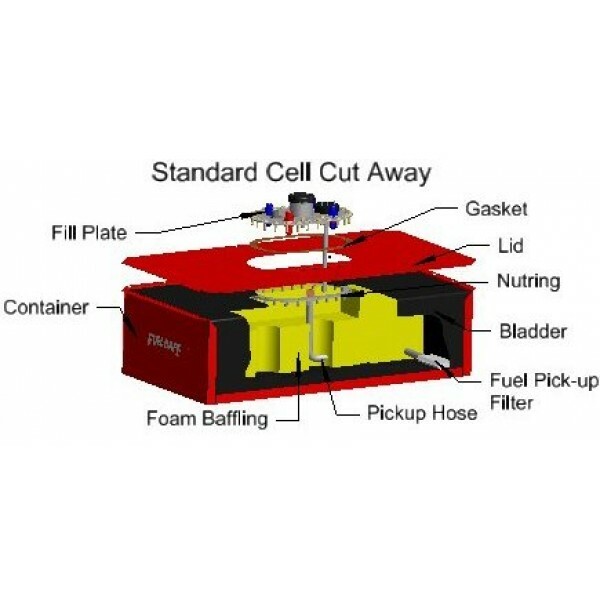 Outside can dimensions 33.625" x 17" x 9.25"
The Sportsman® racing cell is our most lightweight and cost effective soft bladder fuel cell. 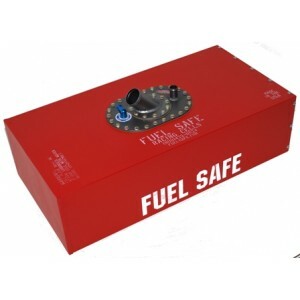 The Sportsman® cell meets all FIA-FT3 requirements and is designed for use with all hydrocarbon fuels. The Sportsman® bladders are constructed with a proprietary pre-coated fabric that offers a great balance of performance and price. All Sportsman® racing cells are race ready and feature the following: • Durable, FIA-FT3 certified Sportsman® bladder. • Powder coated 20 gauge steel container with external mounting flange • Full safety foam baffling, minimizes fuel slosh and the potential for an explosion • quick fill (ML6x10B & FV245A) plate • Aircraft grade nut ring and gasket • Fuel pickup assembly, factory installed • 2 year manufacturer warranty • Recommended upgrades: surge tank, sending unit, lightweight aluminum can and more! See the parts section of our catalog for a complete listing of all available accessories.